Just awesome. Retro Rocket, perfect to pretend you're a space man. A new fun image called Non Drip Gloss would you let him a loose with your decorating? He has more paint on himself and the floor oh dear me. Mind you I have to say I am not much better with a paint brush! Right Troops! 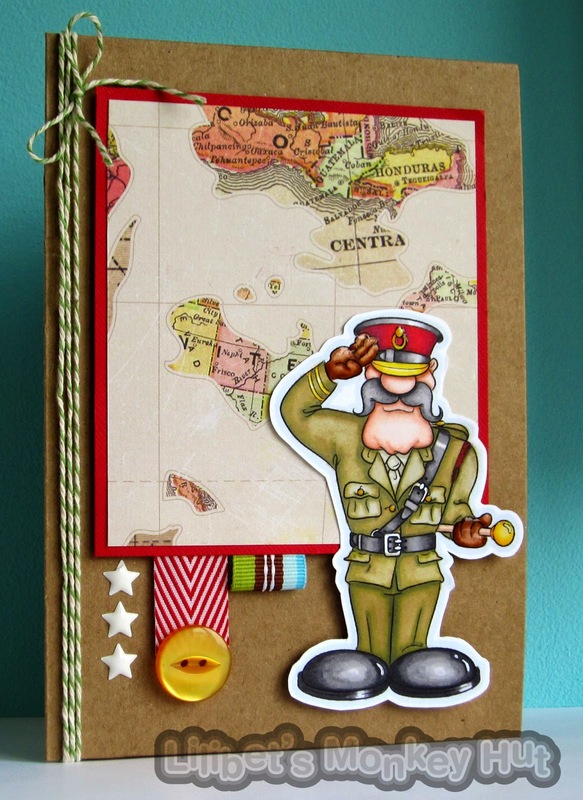 Now I have your attention - Here is Corporal Clegg. Isn't he Ace! 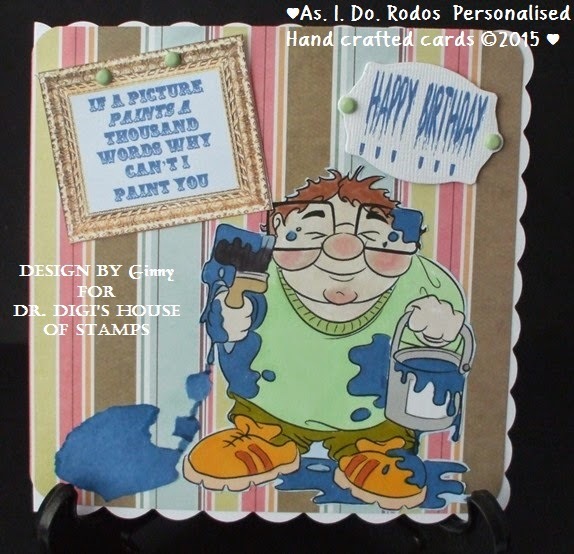 I pondered for ages as to what colours to go with and got loads of inspiration from the Dr Digi Pinterest boards. Now here is a direct order - "GO TAKE A LOOK AT THE BOARDS." 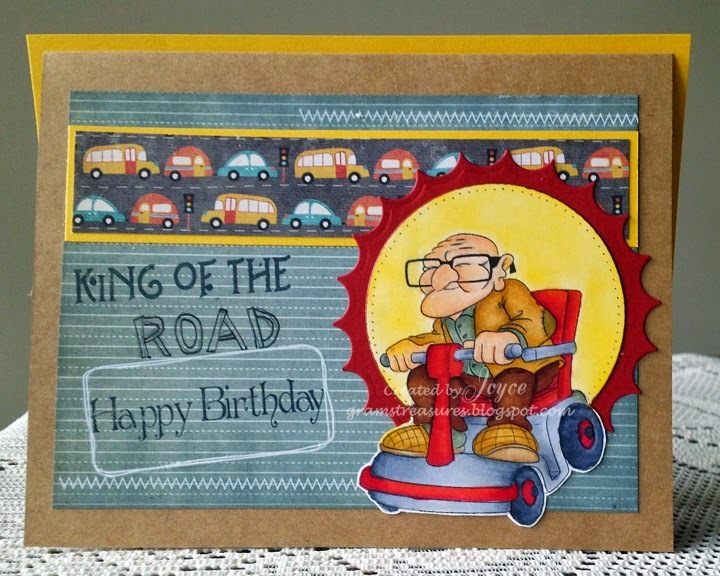 There are some fabulous creations and you can all add your amazing cards with us. 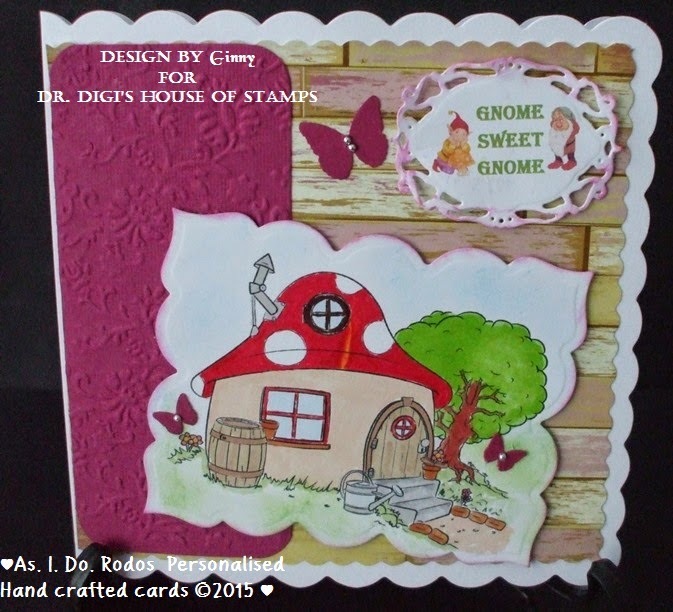 Don't be shy - I love seeing what you make with Dr Digi's and is great when my Mojo goes Missing in Action. 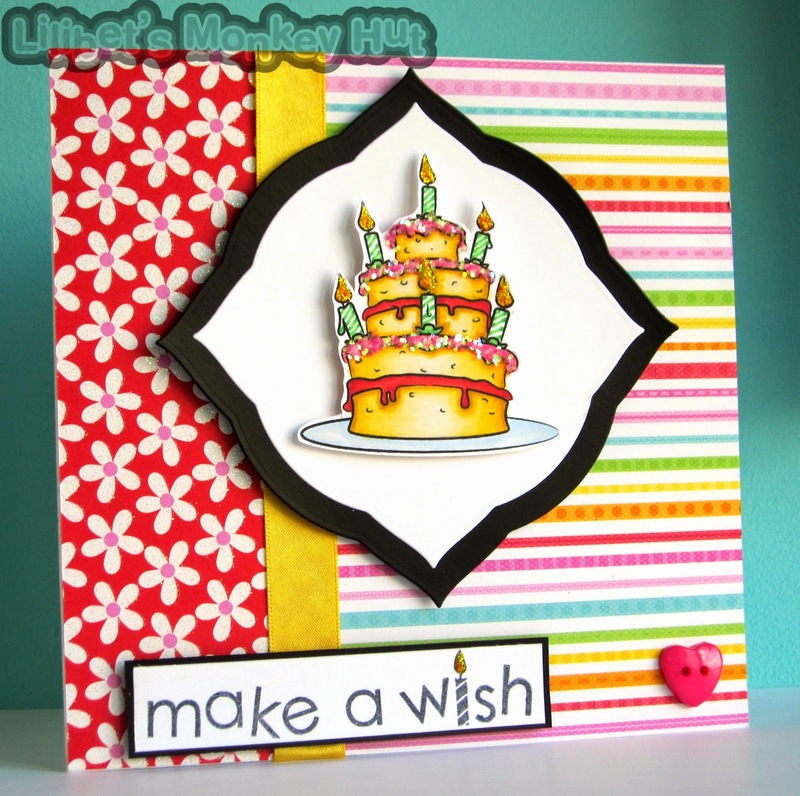 If you want the card recipe - your can find it over on my blog. 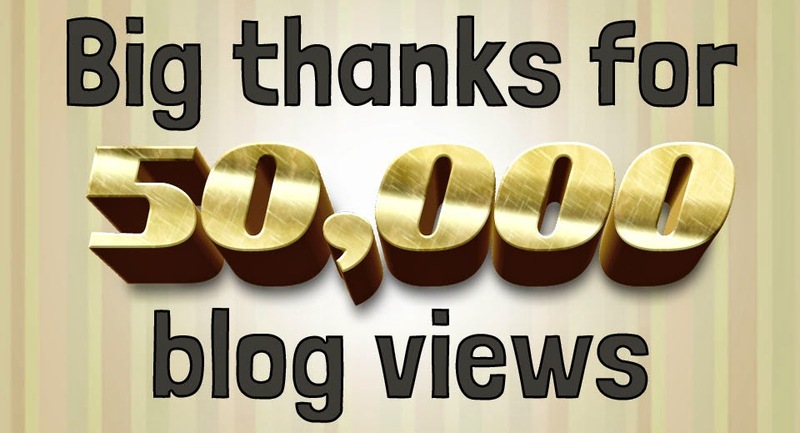 Leave me a comment to say "HI" is you do call by. All for now from me - Got to go and earn some crust. 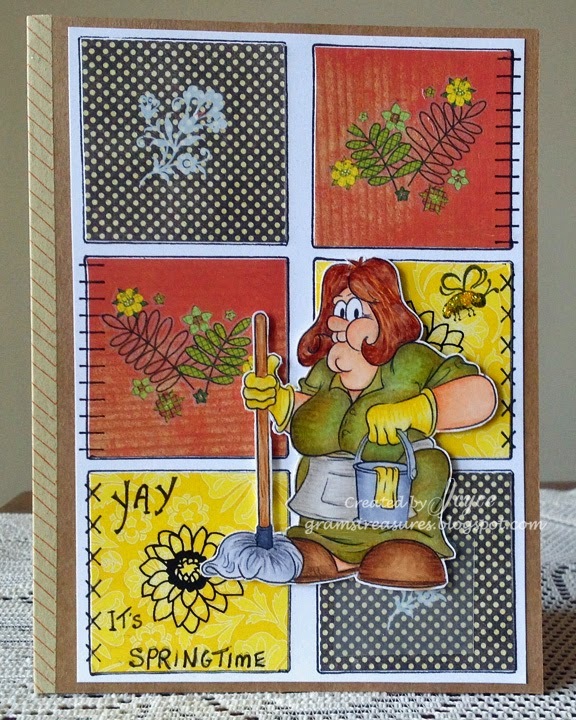 When I was making this card, it really seemed like spring was here....but that didn't last long. Now it's back to winter coats. Of course, wouldn't you know it....I was really in the mood for some spring cleaning. As luck would have it, that mood has now passed, and now I'll be hoping that this lovely lady comes to life and takes over. Maybe she can come to your house too. 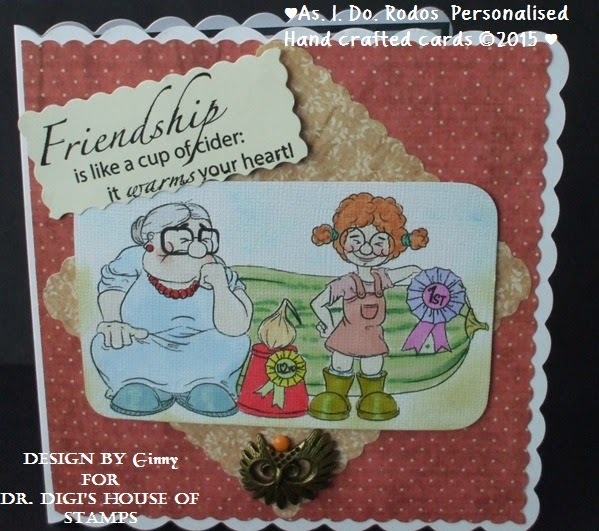 This is another fun image from Dr Digi's House of Stamps and you can find her here. It is always much more fun to colour the mop and bucket than actually use it! It's the time of year to start coaxing those seedlings and giving them ideas of what they shall become, in this case a large marrow or a very fat cucumber! We used to have marrow a fair bit as a kid, but I never see it these days, mind you I don't go anywhere near allotments so that might be why! I'll have to ask the person I gave this card to! 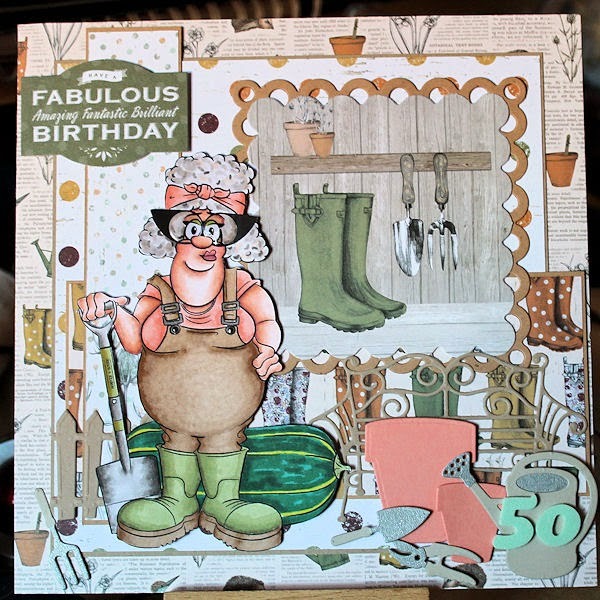 For a 50th I would usually go mad on the sarcasm on the front of the card but being the nice best friend I am, I couldn't do that. Nope........ 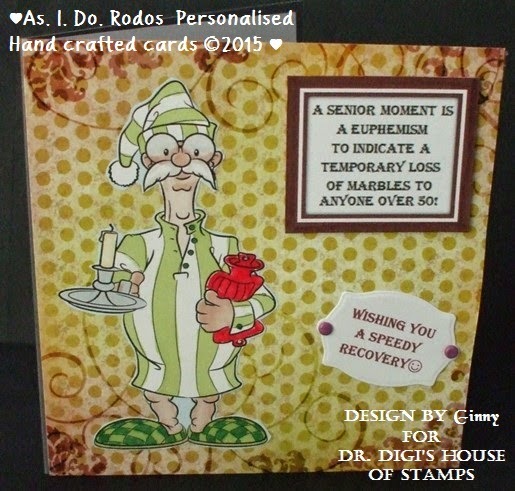 I saved all the sarcasm and rudeness for the inside of the card! 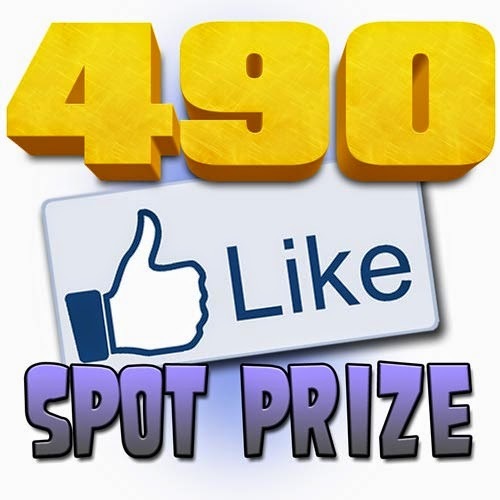 Been a while since we had a spot prize, so time to sort that out..
She's got a spot prize for being our 490th like on Facebook. 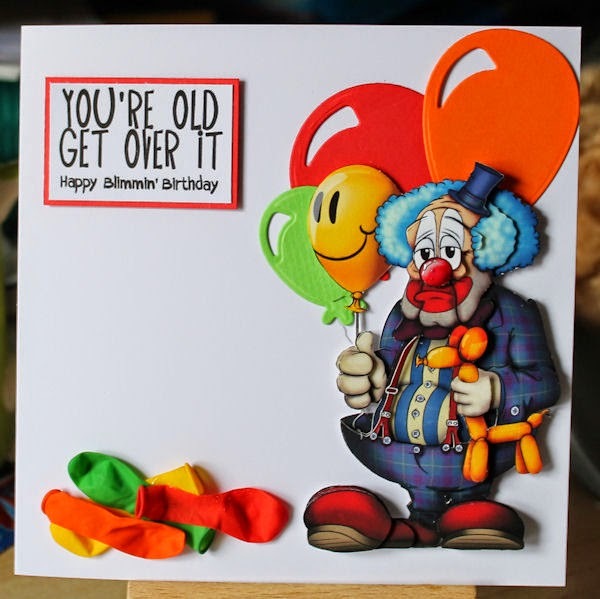 Sometimes an image is perfect for a Birthday card especially when the recipient can look just as grumpy! The Goon From The Lagoon is available to buy in the store! Do you have Gnomes at the bottom of your garden? This des res has all the mod cons, it is very snuggly and warm inside. Not sure if the barrel is for storing water or beer! Mystic Mabel sees a Party. I knew you'd be here... Mystic Mabel told me it would be so! I'm struggling on a weekly basis to choose which Image I want to create with as they are all so fab.... But Mystic Mabel had predicted me stopping by and drew my attention so here she is. I'm really pleased with how her Crystal Ball turned out - I used Glaze that I sprinkled with Glitter whilst it was still wet. 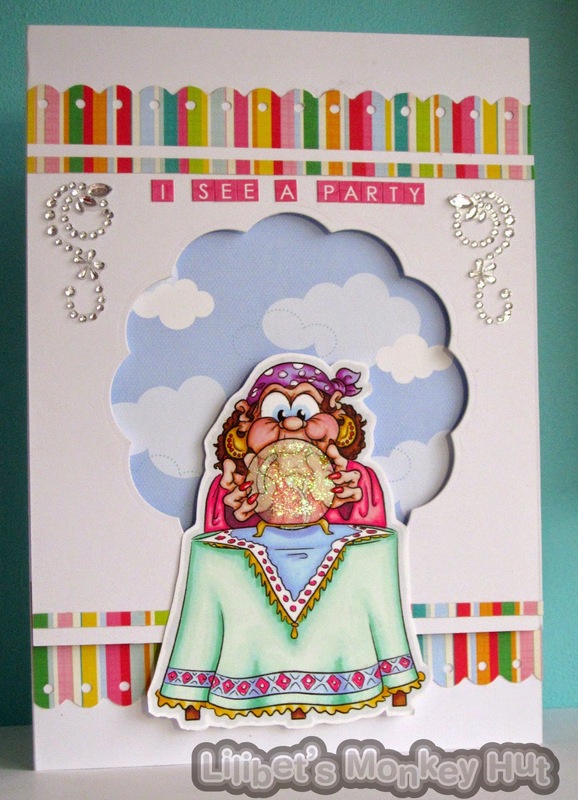 Full details for the Card Recipe are over on my Blog. It's the weekend in just a few hours, you'd think Biffo would look a little more cheerful, although Biffo has been around for a few years now and the prospect of children's parties full of noise and e numbers does not fill him with great enthusiasm, he'd rather be down the pub with a pint watching the football! The wording on the front is an 'in joke' across the office so I won't explain it! Prof Dummkopf is available to buy in the store. Daisy has won best in show and Bertha does not look best pleased! Woo-Hoo what a giant marrow! It will feed a whole village. Cake and Candles - I love the Cake! Gosh - Its Sunday again and this week has flown by but I loved seeing the BRAND NEW images on in the shop. Don't forget to post your creations on the Pinterest board - I love seeing what you create. 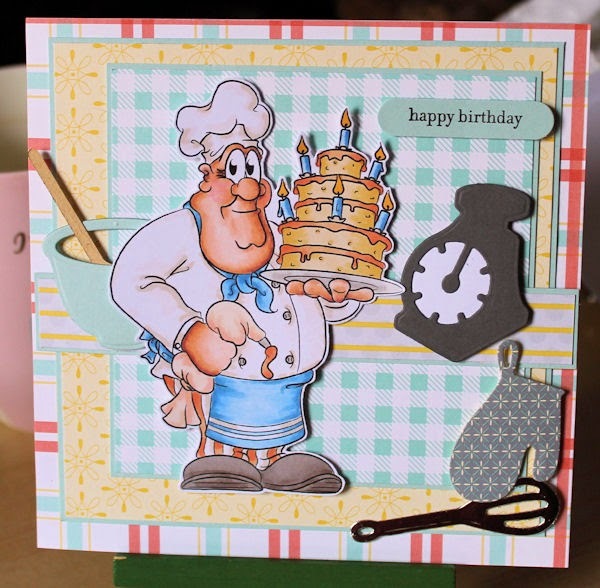 If you want to see more details and the Recipe for my card have a look HERE on my blog. I love the Alice in Wonderland film. Especially the caterpillar is so great. I like it when he blows out the smke of his shisha. special would happen if you go trough the smoke. 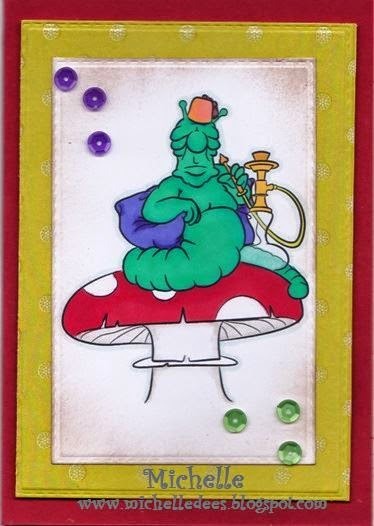 Unfortunaly it is very difficult to catch the smoke on a card. But I tried and hope you like the way it came out. HERE can you find the Comfy Caterpillar. And HERE you can read more about the card. Lovely weekend to you all. What a beautiful day it is here and what a beautiful cake Brian has baked, he can cook in my kitchen anytime he likes if those are the cakes that will appear! Mind you it needs to be tall to take all the candles that would be needed for my upcoming birthday! Still at least these paint cans from Dr Digi are easy to use and won't break the bank! Nightcap Derek is not too steady on those legs, let’s hope he does not burn the house down!. He looks such a charmers bless him. I'm chuffed to bits to be part of this team as I love the images - they are so much fun and full of Humor. 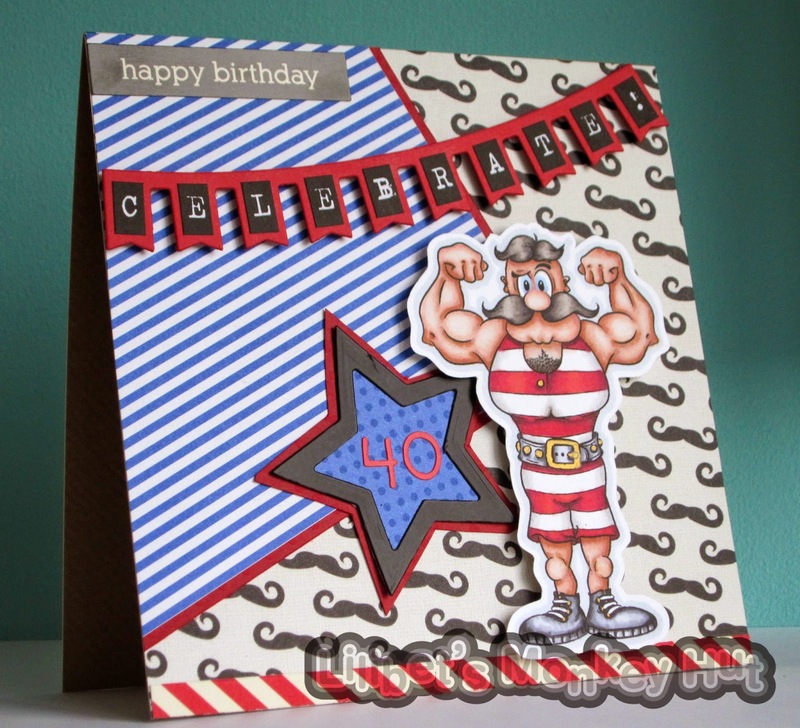 Great images for those hard to make Mens Cards. I will be back with you soon - until then I'd love to know what you think and see what you make with this fab image! 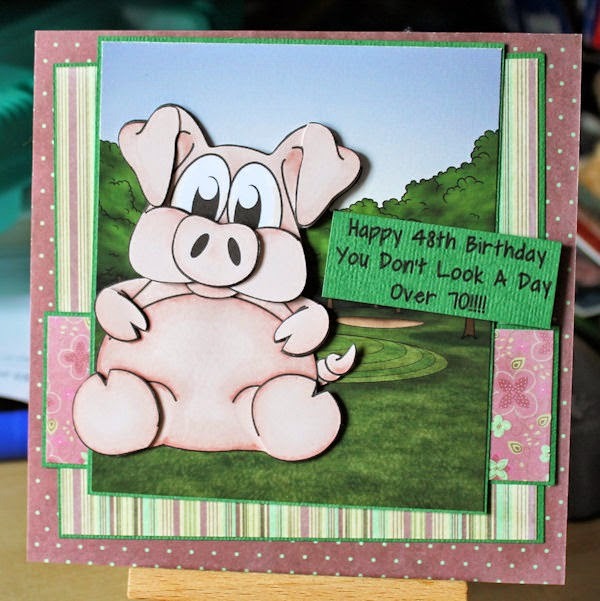 As this is the weekend we pig out on Easter Eggs, I decided Cuddly Critter Pig was the image for this week's card. I then couldn't resist adding an insult, mainly because the person is only a week older than me but he's still older and that's what counts!